Bus travel leads the way in many areas for local public transportation. In many countries, bus systems have replaced trains as the main form of ground transportation especially in South America and Asia. They are clean, comfortable and a great value. Getting to small villages (my favorite place to be in a country) and other regional areas like beaches is a snap. In cities, bus travel is a good way to get around, even if there is a subway system. First of all, lots of cities have jump-on-jump-off tourist buses, if you just to take a quick tour of a city. They are comfortable, go to all the big tourist spots and have a running commentary about what you are seeing. 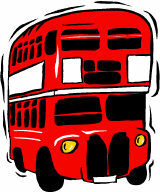 There are specific bus lines that circle the city and allow you to get an inexpensive tour. 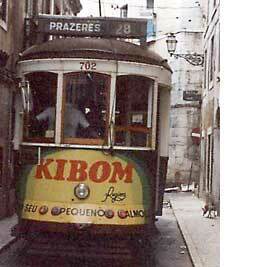 For instance, Tram 28 circles Lisbon, Portugal and is a great way for seeing all for very little. Check your guide book for details on this. 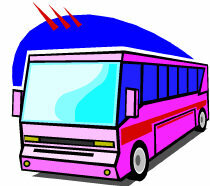 Buy city transportation passes or three day/one week/10 tickets when possible, to reduce cost of bus travel. London Oyster Card is perfect for going to all the sites there. Another trick is to simply get on any bus and ride it to the end. You get to see what most tourists don't and it's impossible to get lost. To return, just ride the same bus back to the place you got on. Perfect. Most bus stations are located just outside train stations. It allows you use bus travel to go to the smaller cities, villages, and parks outside of the main train lines. Ask the ticket seller or bus driver for details. Ask an open question like, "Which bus would you take to see something impressive or fun?" And see what answer you get. 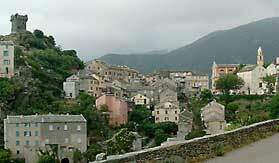 In northern Corsica, I was told about a bus that took me up into the foot hills, dropping me off at a winery. I spent the whole day there with locals eager to introduce me to the excellent wines and food of this hidden but proud mountain region. I enjoyed a killer sunset and returned on the last bus. Magic! 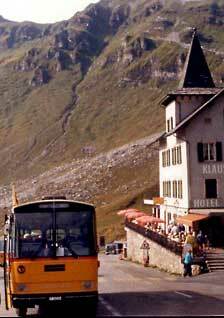 The mountain bus lines, like the Postal Bus Travel in Switzerland, are wonderful ways to see the Alps. They are an exciting ride indeed. As these buses will travel on single lane roads up in the mountains, swinging over cliff edges without falling off. A real scream in the making! They have great safety records, too. Get a map of the Postal Buses of Switzerland that includes the lift and gondola rides for winter skiers. During the summer you take the Postal bus to the base of one lift, ride it to the top, hike to another ski lift, ride it down the mountain to the next village and jump on a return Postal Bus there. What a trip! If you have the time, buses can be more fun than subways because you can see a lot more out of the windows in a bus. Remember, Taxis can be great values to save time when traveling in cities. Time is more important than money when negotiating big cities. Bus travel can be slow. First, is to get a bus travel map. Find out where you are on the map. Locate the Bus Line numbers near where you are. Locate the same line numbers near where you want to go. Jump on the next vehicle and go. Check with the driver that the bus is going in the direction you want to go. You don't care how it gets there, because it travels where you want it to go. Jump on another line if you need to get closer to your destination. Take a taxi if time is dear and traffic light. It can be a great time saver. Take a day and just run around the city on several bus/subway lines. It can be a lot of fun. Also check with your hosts or hotel front desk clerks on what they have to recommend on getting around. After all they live here.